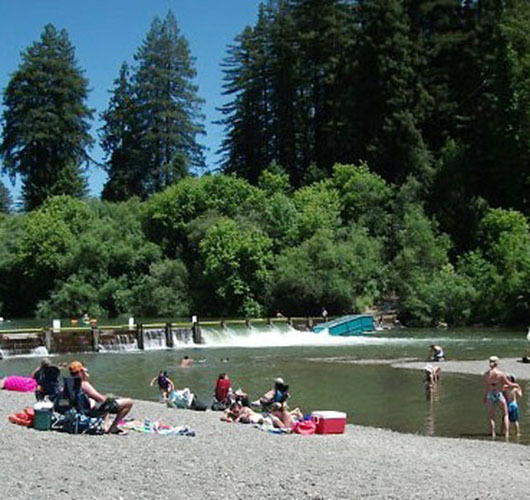 The upper Guerneville dam is located on privately owned Johnson’s Beach at 1st street in downtown Guerneville. The season opens June 15th and closes on October 1st, allowing recreation to continue along the Russian River during the summer months. Boats can be launched from this location with a four wheel drive vehicle, or you may carry in your kayaks. For fishing access during the winter months, a key can be purchased at King’s Sport & Tackle.